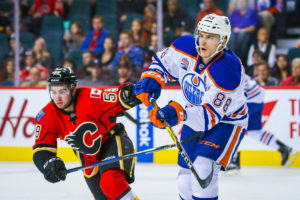 No player epitomizes the positive turn the Montreal Canadiens have taken better than the newly acquired Brandon Davidson. Think of it like this: Under former head coach Michel Therrien, the struggling Alexei Emelin was a mainstay on the top pairing alongside Shea Weber. 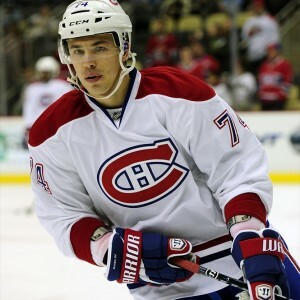 On Tuesday night against the Vancouver Canucks, Emelin sat in favor of Davidson, the player the Habs acquired in exchange for the much-maligned David Desharnais, another one of Therrien’s pet projects. Now, that last sentence isn’t meant to diminish Davidson’s contributions against the Canucks. If it’s interpreted as such, that’s only because Desharnais’ stock had fallen so low that it brought back memories of the 2008 financial crisis. At least markets have been able to rebound since. There was no sign of that happening for Desharnais in a Habs uniform, regardless of how much offensive zone starts and power-play time Therrien gave him. 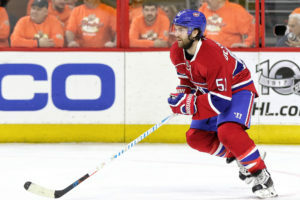 As such, in spite of what can only be interpreted as an honest effort on his part, Desharnais became a lightning rod for criticism and a symbol of the team’s mismanagement. It wasn’t his fault that he continually got deployed ahead of Alex Galchenyuk on the team’s depth chart, for no other reason than Galchenyuk’s defense wasn’t up to par to play center regularly. Of course, neither was Desharnais’, but that’s a story of a bygone era. So too, it would seem is Emelin’s time on the top pairing. For whatever reason, the Habs thought it would be a good idea to pair two stay-at-home defenders together, with it having been proven Weber requires a mobile partner to be his most effective. Now, under normal circumstances Emelin is to “mobile” what a Mack truck crashing into an unsuspecting opponent crossing the street is to “subtle.” So, repeatedly putting that bulky Mack truck in the position where he might be asked to turn on a dime so as to prevent one of the other guys’ top players from scoring? Keep in mind, it’s only recently that that Mack truck seemed to find his however-minimalistic game again after being out a few years ago with a torn knee ligament. Needless to say, between the two players, Shea Weber was likely thought of as the more mobile defenseman. Hey, he scores lots of points, so he must be, right? Even if over 50% of them seem to come from the point on the power play these days (71% of his goals over the last two years, anyway). There is a caveat here, though. Julien has recently been playing the 38-year-old Andrei Markov with Weber, which isn’t exactly all that much better from Therrien’s strategy. The difference here is at least Julien is trying something new. That top Emelin-Weber pairing? Under Therrien, it got stuck together through thick and thin for a total of over 1,000 minutes, which is nearly double the amount of time of the second-most-common pairing this season (Markov and Jeff Petry). That’s even as goaltender Carey Price’s save percentage shrunk below .900 during the span of games from early December until just recently. It’s almost as if the Habs were grooming Price to be this year’s P.K. Subban. With the Habs boasting several new additions on defense, that’s not exactly a quote you can take to the bank, but it’s admirable that Julien is saying all the right things nevertheless. Therrien did from time to time too, for the record. Maybe the one noticeable difference is the Habs are winning again. In any case, Emelin is just one of six left-handed shots on the roster right now, so this one game shouldn’t be seen as anything less than a warning shot across his bow… er, hood… or whatever the Mack truck equivalent of a bow is. For the record, Davidson in that one game? An admittedly underwhelming stat line that included 14:40 of ice time and two shots on net. For a 25-year-old defenseman, who, by all accounts, holds a great deal of potential, though? It very well could be just the beginning. The same goes for the Habs.